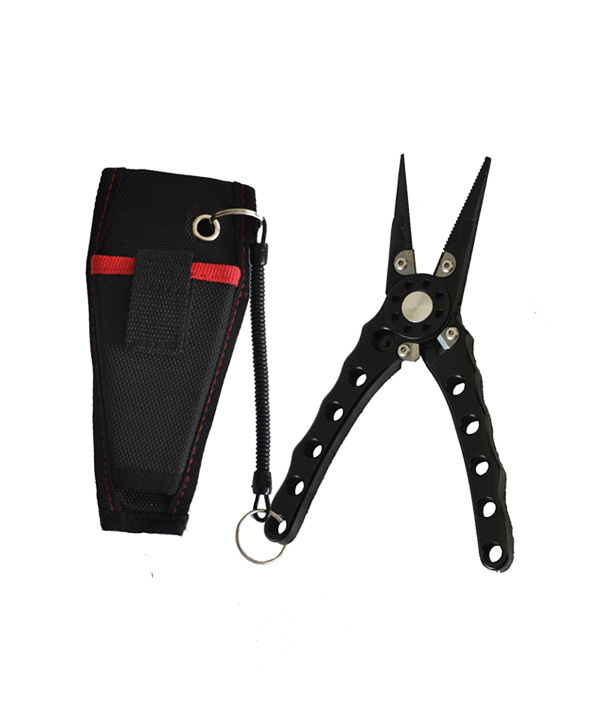 – Black with dual cutters. 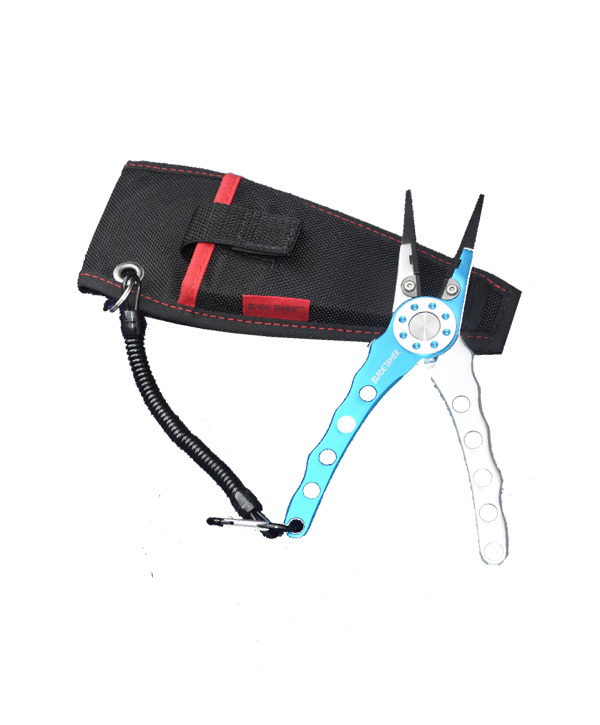 – Includes additional pair of carbide cutters designed to cut steel leader. 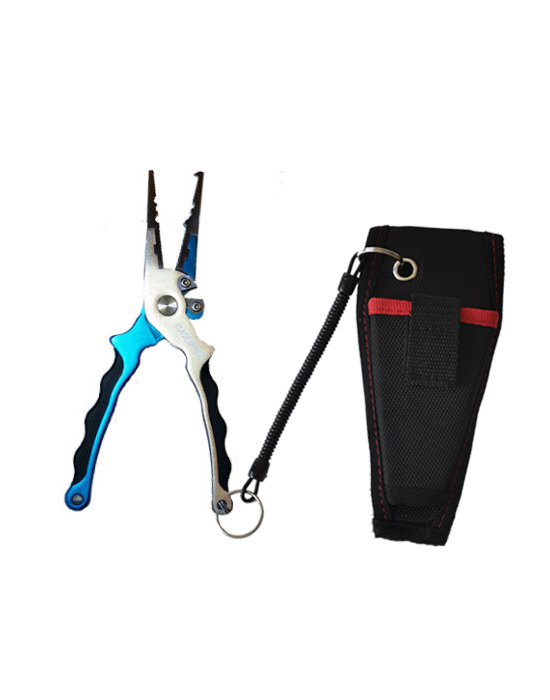 – Aluminum pliers made from heat treated aluminum alloy. 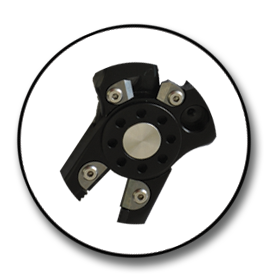 – Spring loaded, oversized pivot mechanism. 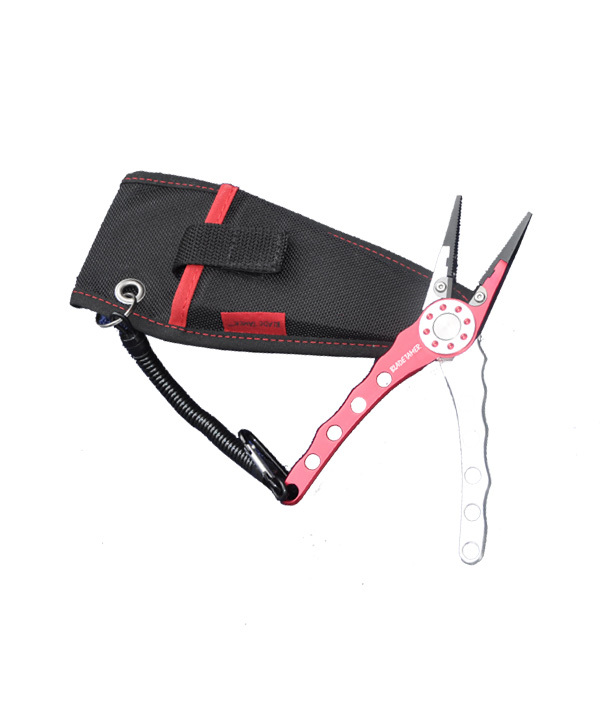 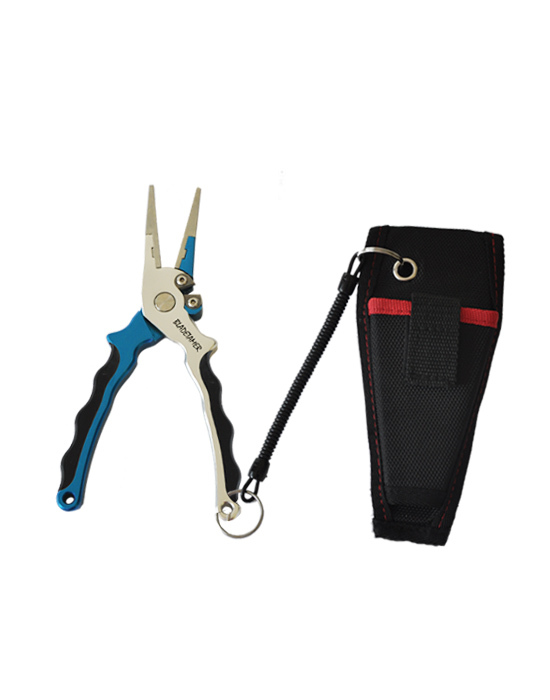 Includes our heavy duty, custom made Blade Tamer plier’s holder that is manufactured to our exacting standards like our sheaths.